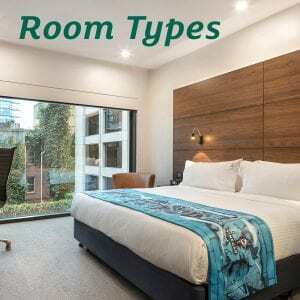 It’s not just location that makes Holiday Inn Melbourne on Flinders a popular Melbourne hotel. With a comprehensive list of hotel facilities, including Sirocco Restaurant & Bar, heated pool, cardio gym, laundry, a business centre and a range of guest services, guests are spoilt with comfort and convenience. Guests can take a dip and relax in the swimming pool area. 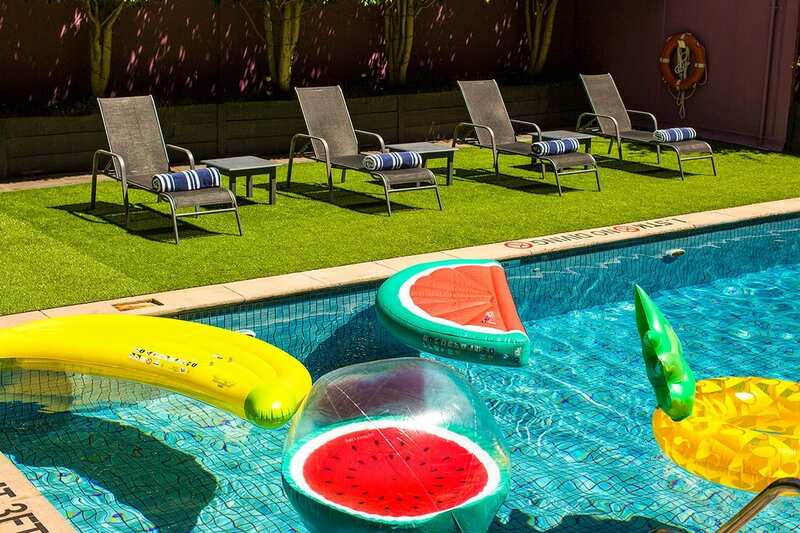 The hotel’s heated outdoor pool is a great way to entertain the kids or unwind after a busy day in the city working or sightseeing. The perfect place to relax on a lounge and catch the afternoon sun during your stay. At Holiday Inn Melbourne on Flinders your exercise routine can travel with you. With a cardio gym located on level one of the hotel, it’s easy to keep your fitness up while you stay with us. The gym offers a range of fitness machines, weights and equipment for guests. The tranquil Garden Terrace located on level one is a great place for guests to step out and take a break. Surrounded by greenery for a relaxing and pleasant atmosphere, the Garden Terrace is in the same area as the hotel’s other recreation facilities, including the outdoor pool and cardio gym. Sirocco Restaurant and Bar at Holiday Inn Melbourne on Flinders provides a wonderful dining experience inspired by Modern Australian flavours. Offering the freshest local produce in a relaxed and family friendly atmosphere, guests enjoy breakfast, lunch and dinner overlooking bustling Spencer Street. The hotel laundry provides guests with a full laundry, which is useful when traveling . Our laundry is coin operated and has a washing machine, two dryers and a sink to wash delicate items of clothing. The hotel’s business centre provides computers with complimentary high-speed Internet access, as well as a secretarial service, which can be arranged with assistance from hotel reception. Let us take care of your car with our valet parking service. Drive in and leave your car keys with our attending staff for either short or long term parking during your stay. A same day dry cleaning service gives you peace of mind, especially when traveling on business or for a special event.